Thank you to all who attended. We were able to raise over $50,000 for Rotary International’s End Polio Now Program. Every dollar donated puts us that much closer to eradicating Polio, a worthy cause! Teen Challenge was our Fund For Need organization for the event. Again, thru your generous donations we raised over $7,000 to help Teen Challenge continue to help people who have life-controlling problems. The Teen Challenge approach is to teach a whole new way of living by addressing family relationships, work attitudes, self-image and esteem, peer pressure, addictions, social issues, community relationship, and a variety of other life skills. Teen Challenge endeavors to help people become mentally sound, emotionally balanced, socially adjusted, physically well, and spiritually alive. Teen Challenge is regarded as one of the most successful drug rehabilitation programs. Monies also raised that evening will go to fund Fremont Warm Spring Sunrise Rotary’s other beneficiaries as well. Past beneficiaries have been Life ElderCare, SAVE, ABODE, High School Scholarships to mention just a few. We would like to thank our sponsors again for their generosity: Randall and Cynthia Pond, Mario and Luciana Mazzola, Michael Bryne, Northwestern Mutual Financial Network, Jeboy and Karen Koshy, Fremont Warm Springs Sunrise Rotarians, Dave Clayton, Farmer’s Insurance, Michael Kearns, Northwestern Mutual Financial Network, Washington Hospital, Greg and Betsy Bogdanoff and Andrew Miceli, Mass Mutual Financial Group. Thank you to our Fashion Show sponsors: Avalon Spa and Salon, Bay Jewelers, Errienne, Mens Wearhouse and Jessica McClintock. 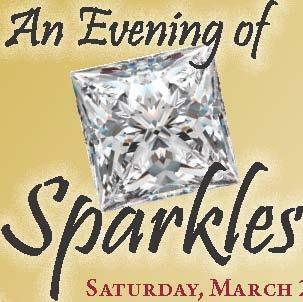 Be sure to visit our website at www.fremontwarmspringssunrise.org to view pictures from “An Evening of Sparkles”.